PLEASE NOTE THAT FOR HEALTH & SAFETY REASONS SWIMMING/PADDLING IS NOT PERMITTED IN OUR LAKES. BARBECUES ARE NOT ALLOWED AT ANY OF OUR COUNTRY PARKS. 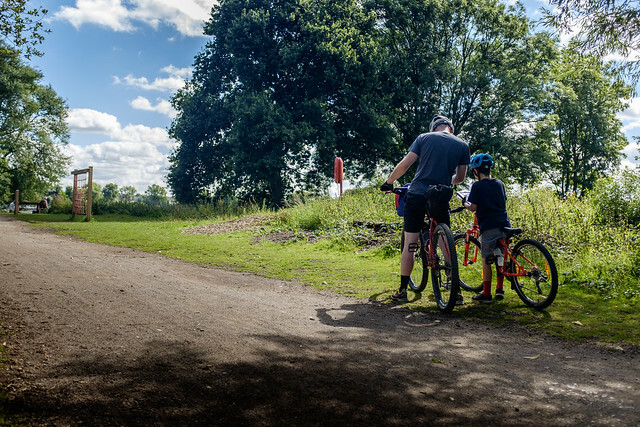 Make the Information Centre at Kingsbury Water Park your first port of call and you can get friendly advice and information to enable you to enjoy your day out in the country park to the full. We stock information leaflets on all the activities taking place in the parks, as well as maps to help you find your way around. Our Gift Shops stock a wonderful selection of countryside related gifts, toys, souvenirs and books at very reasonable prices. We are continuing to expand our range of sustainable or locally sourced items, particularly from local crafts people. The Information Centre is open every day except Christmas Day. Education Centre – Half day £60. Full day £90. We now have a new Changing Places Toilet at the Broomey Croft entrance. Visitors needing access can borrow a RADAR key and a barrier pass from the Visitor Centre at the main entrance. Both must be returned to the Visitor Centre afterwards. Car parking charges apply to all park visits, payable at barrier. Toilet facilities available during park opening times. Please note – seasonal variations apply, see Opening times. More information on accessibility can be found on the Kingsbury Water Park AccessAble site. Barbecues and fires are not allowed, but picnics are welcome. Octavian Droobers – There is a permanent orienteering course on the site. Weekends & Bank Holidays: 9.00am - 5.30pm. Main Entrance £4.50 per car. £3.00 after 4 pm and all day November - February inclusive. Broomey Croft Entrance £3.00 per car. Correct change at automatic barrier, £2, £1, 50p, 20p, 10p coins. Please note - you will not receive a response to emails at weekends and Bank Holidays. If you have a query that needs an immediate response, please telephone the Information Centre on 01827 872660. For emergencies outside Information Centre opening times, but during park opening times, please call the Duty Ranger Mobile: 07785 522684.